COOL-SHOT ULTRA is a synthetic catalyst that improves the efficiency of air conditioning and refrigeration systems, reducing the energy consumption and CO2 emissions. 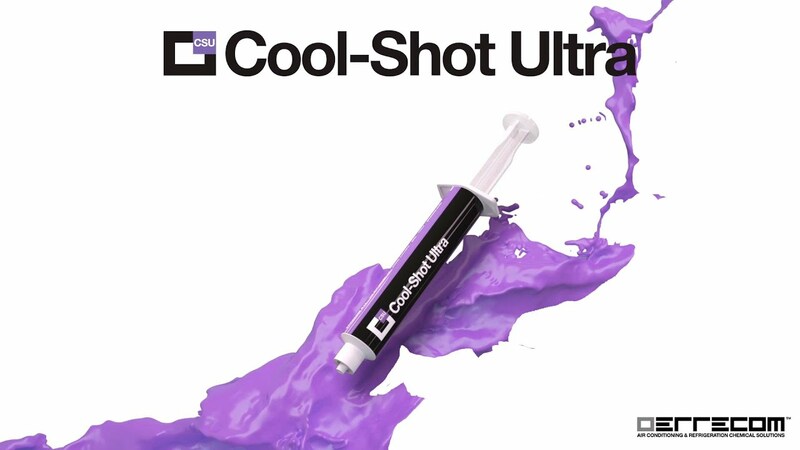 COOL-SHOT ULTRA formulation has been actually reduced to only 6 mL (0.20 fl oz) by even treating bigger and bigger Systems 21KW (6 TONS). COOL-SHOT ULTRA is composed of two catalysts and a lubricating agent which enable the air conditioning and refrigeration systems to work at maximum efficiency: only 6 mL of product can eliminate the oil fouling phenomenon.